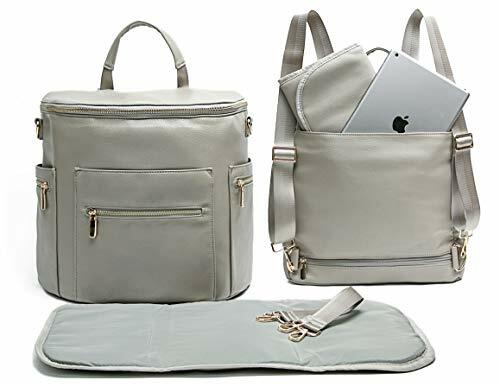 Diaper bags are the workhorses of the carryall world, letting parents get out and about with kids in tow without having to worry about hangry meltdowns and blowouts. And it’s practically guaranteed that your super-regular baby who always poops in the morning will have an afternoon blowout if you’re anywhere inconvenient (think: out on a boat, in a plane, hiking, boutique shopping). 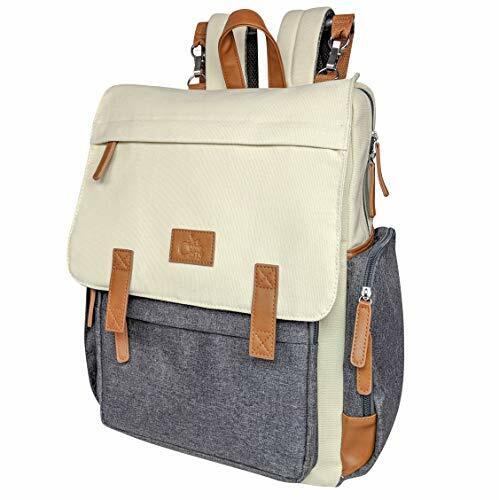 So Canway Diaper bag backpack is a good choice for dealing with such an embarrassing situation. Nothing is more important than being prepared when leaving the house with kids, and you also want to be comfortable and somewhat organized. 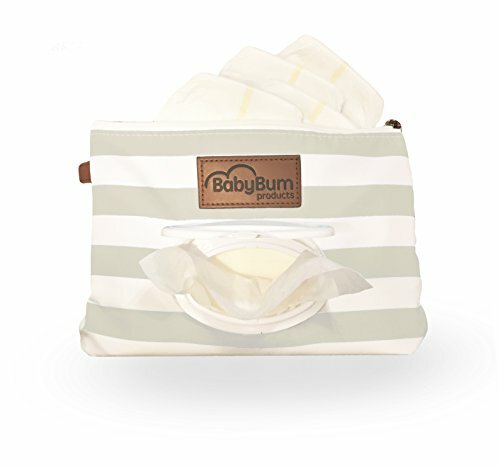 【Large Capacity for All Your Baby Essentials】This diaper bag has multiple elasticized storage compartments for easy organizing, they can tote bottles, snacks, toys, books, blankies, mom-and-dad necessities and, of course, diapers and wipes. 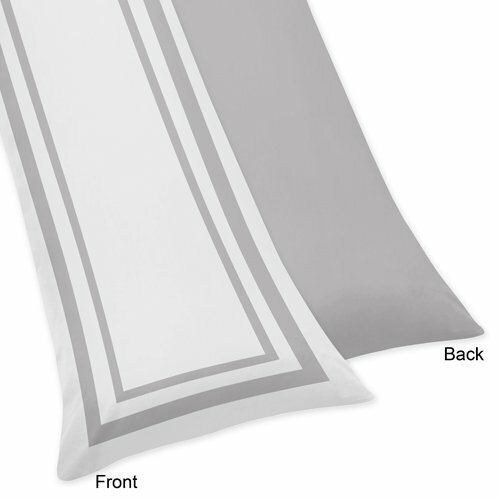 Making it ideal for overnights or weekends away from home. 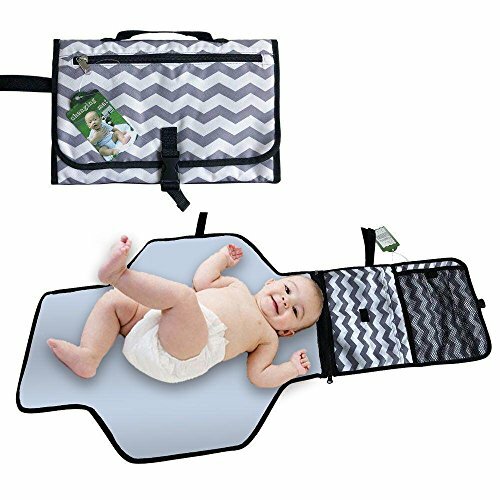 A portable changing pad is included(23.4L x 15.4W inches). 【Certified Environmental Premium Material】It’s made from durable, BPA-free, water-resistant nylon polyester to repel dirt and stains. Especially, the insulated bottle pockets in front are made from safe & friendly EVA material. Unisex design, suitable for shopping, restaurant, traveling, also gift ideas for Christmas, New Year, baby shower and perfect for novice parent. 【Comfortable & Stylish Design】When you’re a parent, having your hands free to push a baby stroller or chase after a newly mobile toddler is a good thing, the stroller straps and clips are really great features. 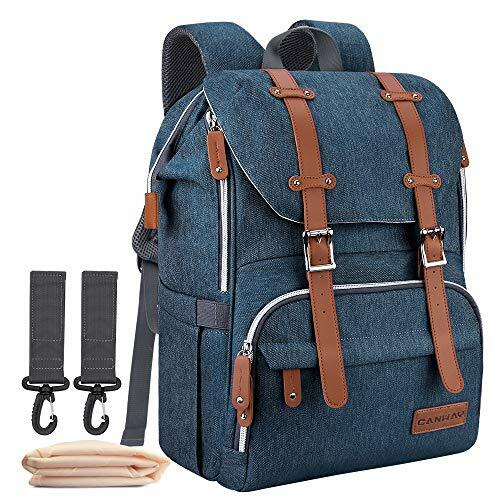 Also, ergonomically curved, padded shoulder straps and padded back panel with breathable mesh offer you a comfortable carrying. 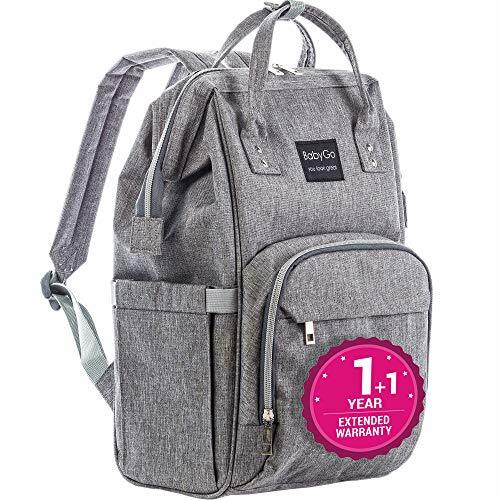 【Satisfaction Guarantee】Our diaper backpack comes with exceptional customer experience with a 90 Days Money Back Guarantee. If you are not satisfied with our product, please do not hesitate to contact us so we can send you a replacement or provide you with a refund. 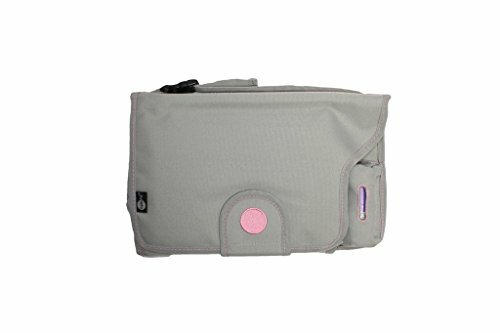 【16 Multi-functional Pockets】Canway nappy bag has lots of pockets-eight on the center inside, three on the front inside and five on the outside-to keep all your odds and ends organized, including a fast-access cell phone zipper pocket. And Fish-mouth design top opening can offer you a large view, so it’s convenient to put or take out things, and dual zippers on the top for easy-access & closure even with one hand! Also, the opening has metal support inside, not easily be out of shape.